is a Drum Machine that features custom play with your Keyboard or Joypad including a good reaction speed and only little delay. With five Record-Slots you can save, load and also MIX together your custom beats. 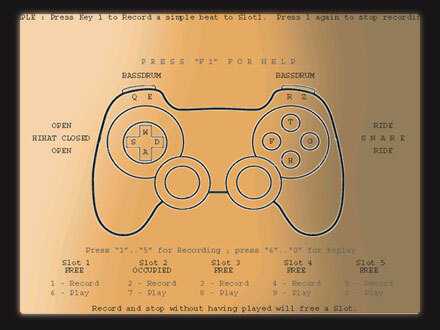 alltogether a good joypad and keyboard drum machine, free to use ! C - Drumpad, Freeware Joypad and Keyboard Drums. Feel free to copy it to your friends.